Can you name this yachting venue? 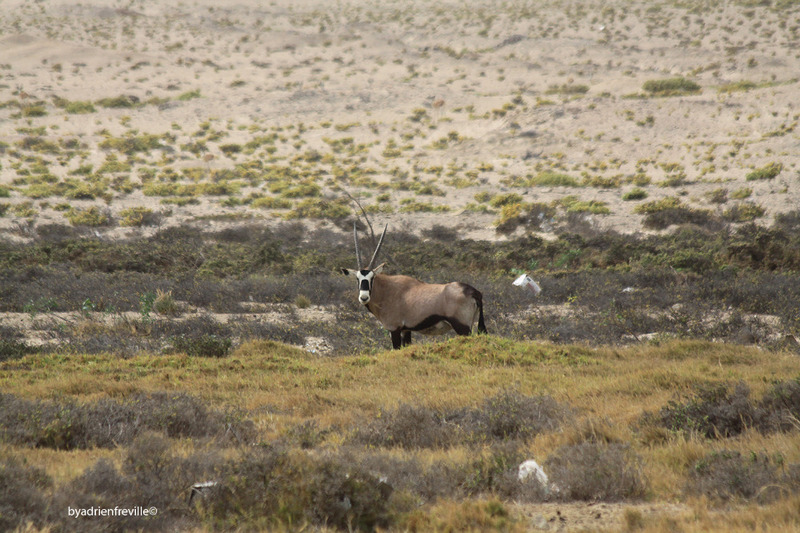 Try Luderitz, Namibia, where the Luderitz Speed Challenge has been under way since Friday. Kite sailors from three countriesNew Zealand, Sweden and Australiaupped their respective national speed records in winds of “only” 25-28 knots, with a forecast of bigger winds to come. 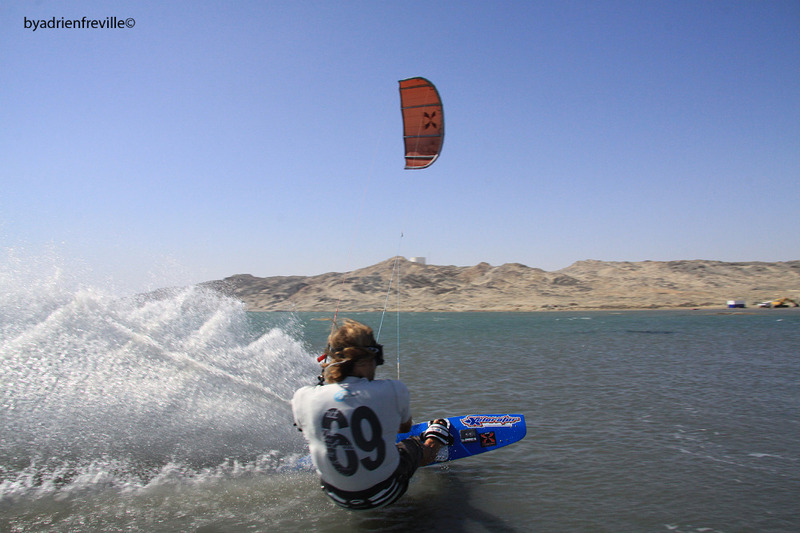 The highest of the new records was set by Kiwi Gavin Broadbent at 44.51 knots. Not sure who is, uh, 69 . . . These people are hoping to recapture the absolute speed sailing record, once held by a kite but now held by the giant French trifoiler, L’Hydroptère, at 51.36 knots. They’re believing that 2010 could be the year. 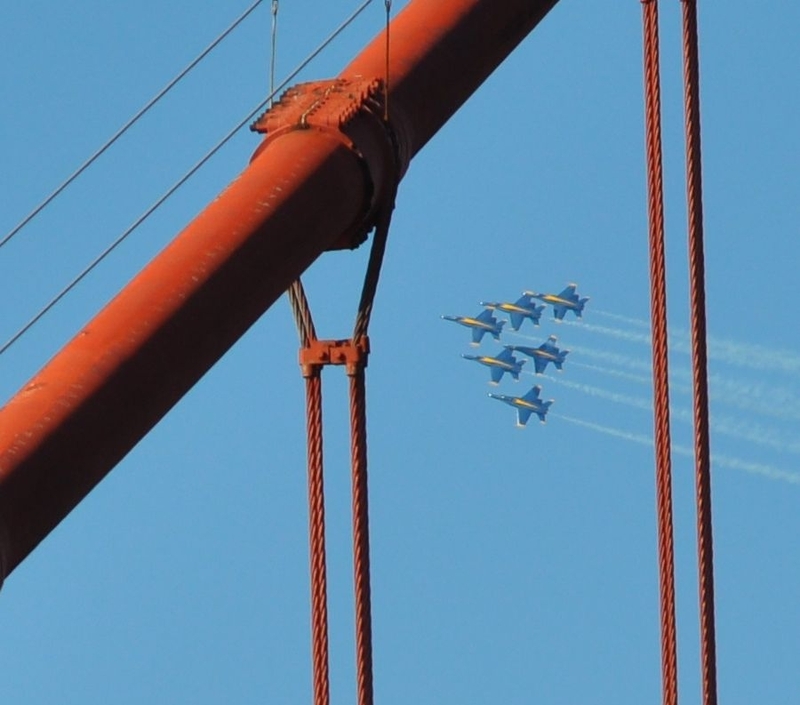 One more day for the Blue Angels to fly and two more days, Sunday and Monday, for the public to tour the Navy ships now tied to the piers of the Port of San Francisco. Here is a link to schedules and locations: Fleet Week Open Ships. Until 5 p.m. on Sunday, the W Foundation continues its exhibit of space artifacts, The Navy in Space, at Building D, Fort Mason. Astronauts are on hand, and real space objects (some, not all) can be touched. It’s pretty cool. And one more note about those open ships. Paige Brooks contributed these photos taken at Piers 30-32, proposed site of the public interface for an America’s Cup match in 2013. 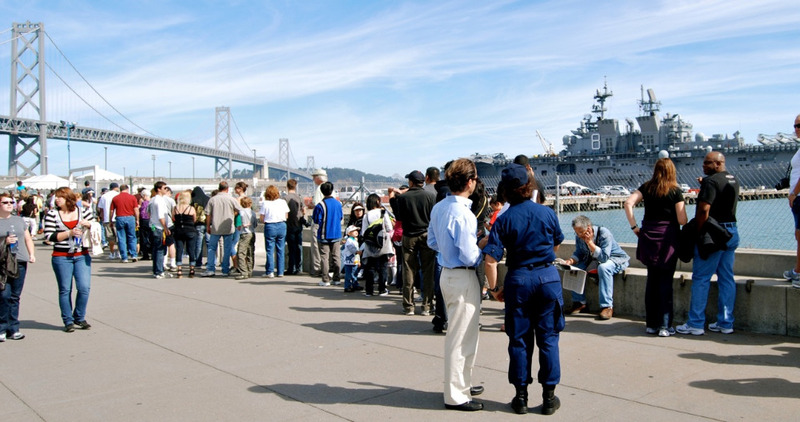 These are the crowds lined up to go aboard the Amphibious Assault Ship USS Makin Island . . . 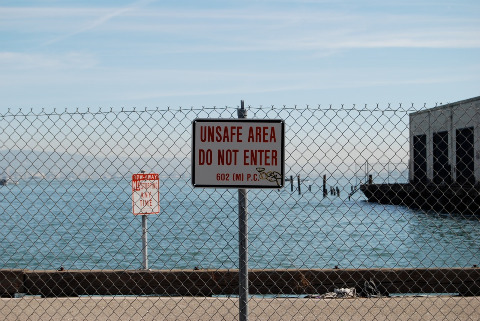 If you click to enlarge you will clearly see the chain link fence separating the crowd from the waterfront, and of course we know what that fence is all about. 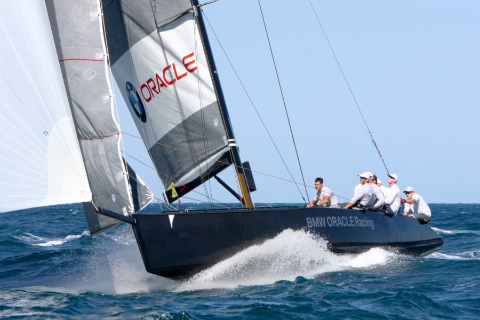 And shall remain “about.” Unless it is transformed by an America’s Cup Village . . . Meanwhile, on the other side of the globe . . .